Are you looking for a balloon drop company in Scotland? 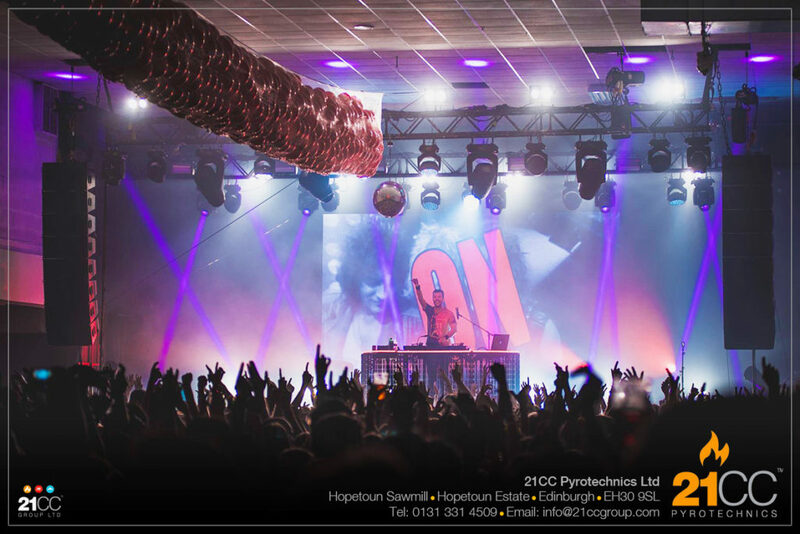 Then look no further than the special effects professionals at 21CC Pyrotechnics in Edinburgh! 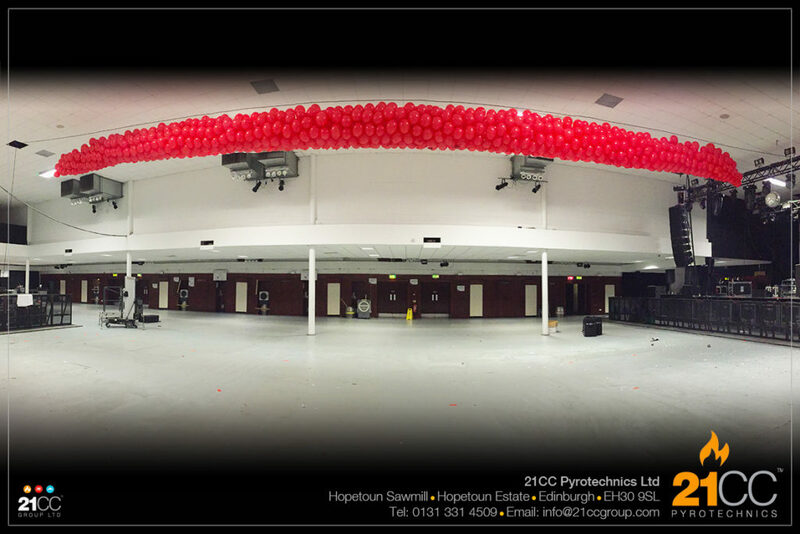 We create and deliver spectacular balloon drops all over the country and for all sorts of celebrations. 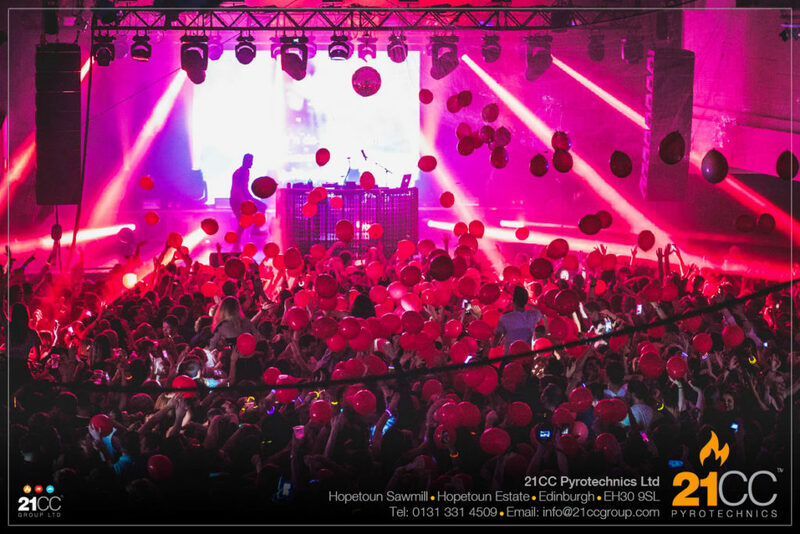 Our balloon drops are simply amazing… They appeal to all age groups and add that perfect party effect. Whether it is a private party, corporate celebration, dance party or full on rock concert, our professionally designed and rigged balloon drops will create that magic moment that everyone will enjoy. Guaranteed! 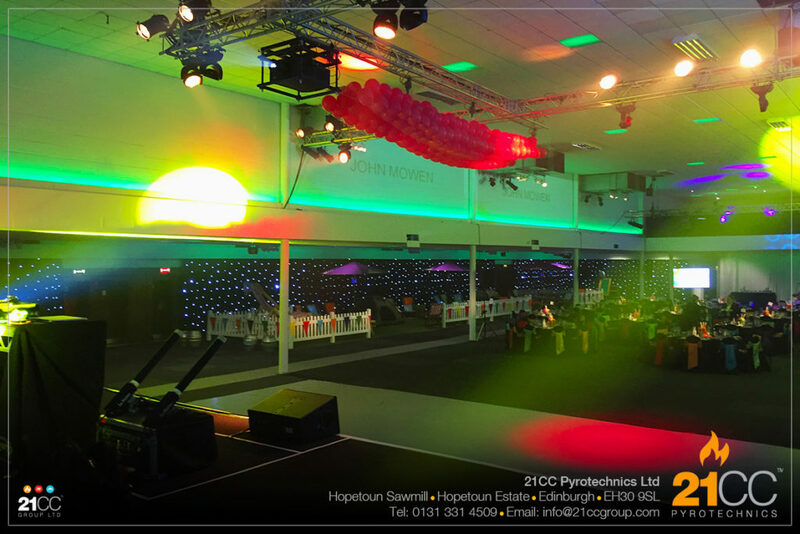 We have a variety of rigging solutions to suit the nature of most rooms and marquees from simple rope, clamp and pulley systems to complete truss and motor systems. We also have a range of trigger options from a simple manual pull to a full electronic control. Balloons are inherently an inert and a relatively safe product, so there is little restriction to where you can have a balloon drop. We can rig them up pretty much in any room, anywhere in the UK! The higher the room, the better the effect because the balloons have further to fall. The bigger your balloon drop, the better it will be! The more balloons we can hoist up into the air, the bigger the effect when we drop them. What goes up…. must come down! 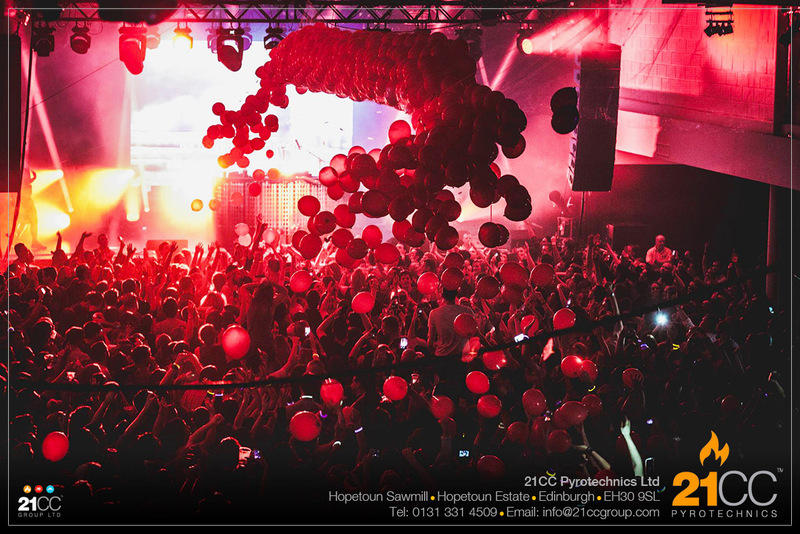 Each balloon drop that we create is custom made and fit for purpose. 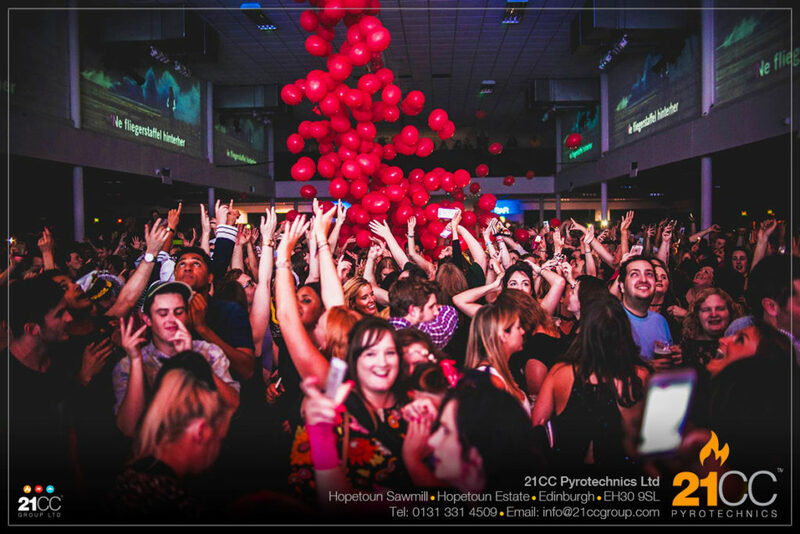 We set up each balloon drop safely at ground level and hoist it up into the air when ready, poised securely above your guests or dance floor waiting for the big moment. 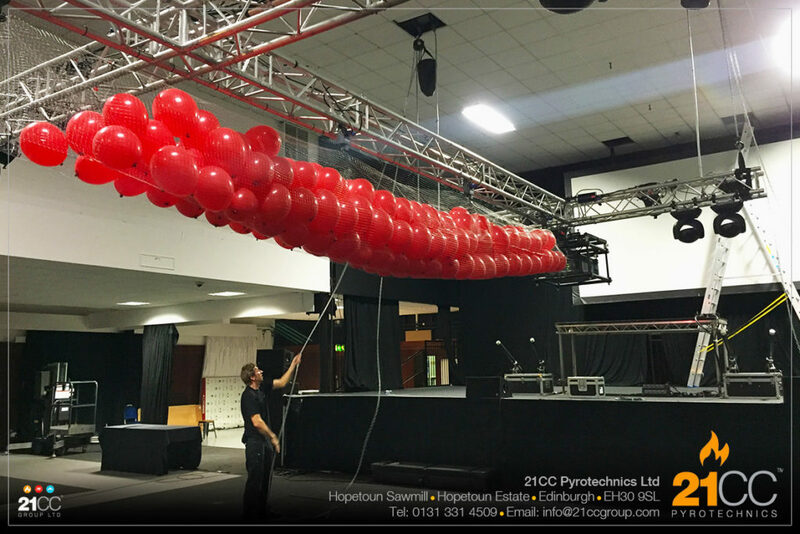 There is no better way to get your party started than with an exciting, custom balloon drop from the 21CC Pyrotechnics team. You can choose the colour of your balloons and even have names or logos printed on them! 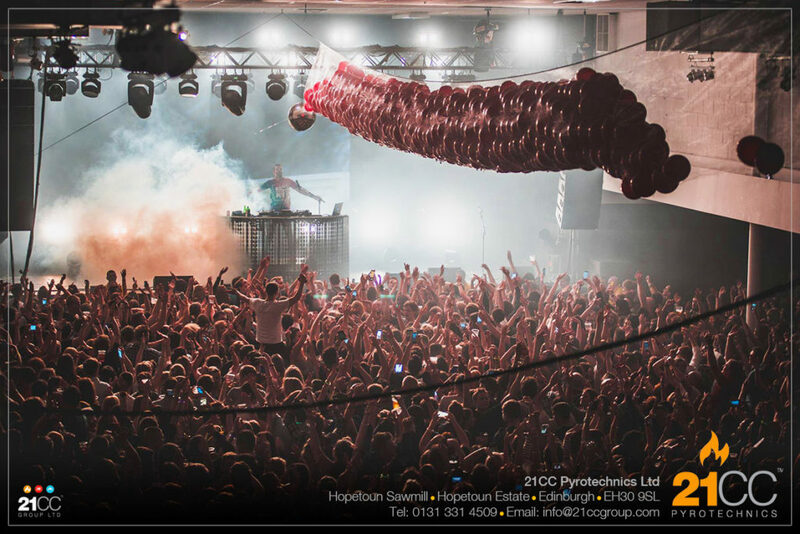 For more information on a balloon drop from 21CC Pyrotechnics, email us on pyro@21ccgroup.com or call 0330 022 1611 (local rate).